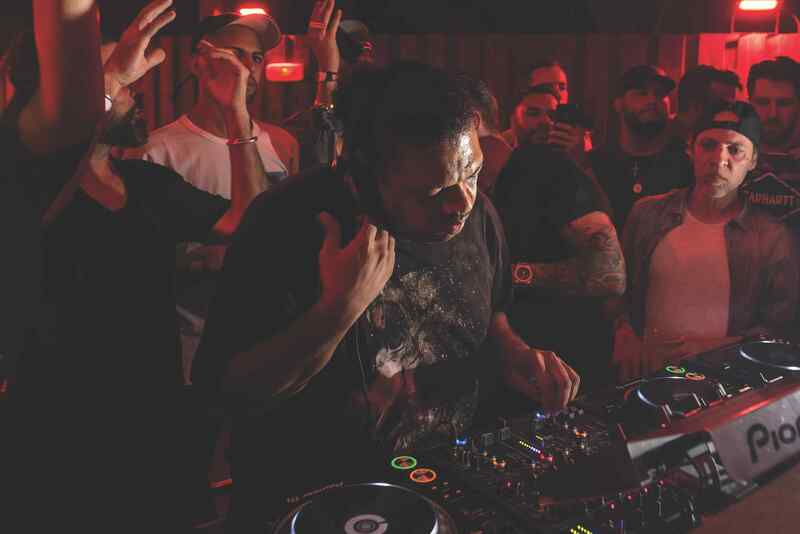 The lower floor of Kerri Chandler’s house looks like the backstage production labyrinth of a massive arena. Hallway after hallway, shelf after shelf, room after room, there are stacks of music gear, flight cases, records, records and then some more records. Plus 36 sets of turntables, a drum machine closet and enough technology to fulfill any audiophile’s dreams. He has a live recording room and another room for programming, set up with numerous screens like a multiplex theatre. 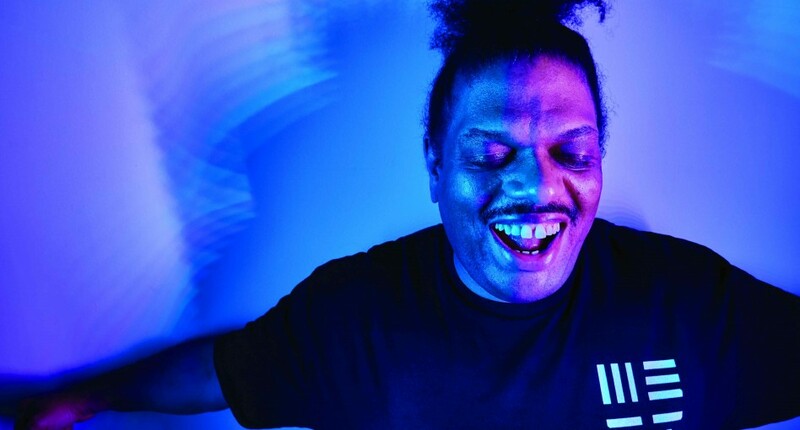 The hope is that the longstanding DJ/producer and genuine house music legend never has to move because that would be ugly and super stressful. Everything in view—and not in view—doesn’t belong to Chandler alone. His musically-inclined 21-year-old daughter has stamped her presence in many of these spaces, albeit a very different one from her father’s as she favors obscure psychedelic sounds from the ’60s and the groovy ones of the ‘70s. His 14-year-old son hasn’t taken over this area, even with his affinity for Korg gear. He has his own workstation upstairs where he and his friends spend their time hacking and coding, modifying video games. Then there are the mountains of gear that belonged to Chandler’s father, now passed, but never forgotten, and clearly living on in his descendants’ genetics. It is from his offspring that Chandler receives his motivation. Pictures of them sit in his eyeline, a gentle reminder of what it is all about. And it is from Chandler Senior that they in turn inherited his love of DJing, his extensive knowledge about music, particularly the homegrown ones of his native New York and New Jersey, and his instinctual understanding and deftness with technology. The now common term “Chandlerization” was coined for equipment that has been tweaked either by Chandler himself, or under his direction, invariably making it better, more effective, and more flexible with its capabilities. 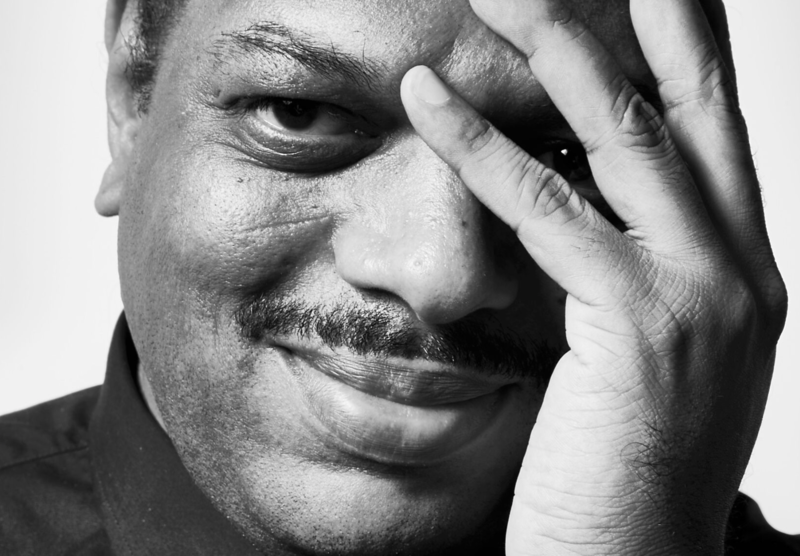 For many years Kerri Chandler has been working with professional audio manufacturers, Native Instruments and Roland among them, coming up with improvements on existing items and breakthroughs on new ones. One of the companies he is working with at the moment is Dolby and their Atmos immersive sound system for the club environment. The first show Chandler did using Atmos was at Ministry of Sound in spring of 2016. The second system has been installed at Halcyon in San Francisco. The plan is to have it in 12 clubs worldwide by the year’s end. “It’s beyond surround sound,” Chandler explains. “You can hear everything everywhere in the room and you can control it almost 360°. I can take a snare drum and run it around the room, make it go behind me and come back up and have it sound like it’s all around you. Atmos is one of many space-based elements in Chandler’s life, a conscious occurrence on his part as his fascination with the cosmos is an ongoing one. He takes out a replica of The Golden Record sent up in the Voyager 1 spacecraft in 1977. The original functions as a time capsule of sorts with drawings on the cover that show how the record is to be played. On it are sounds from Earth: nature, animals, music from across the globe, and a variety of languages. Festival in Barcelona last June, some 40 years after Voyager 1. Chandler’s momentous missive to the world this summer is a little closer to home. 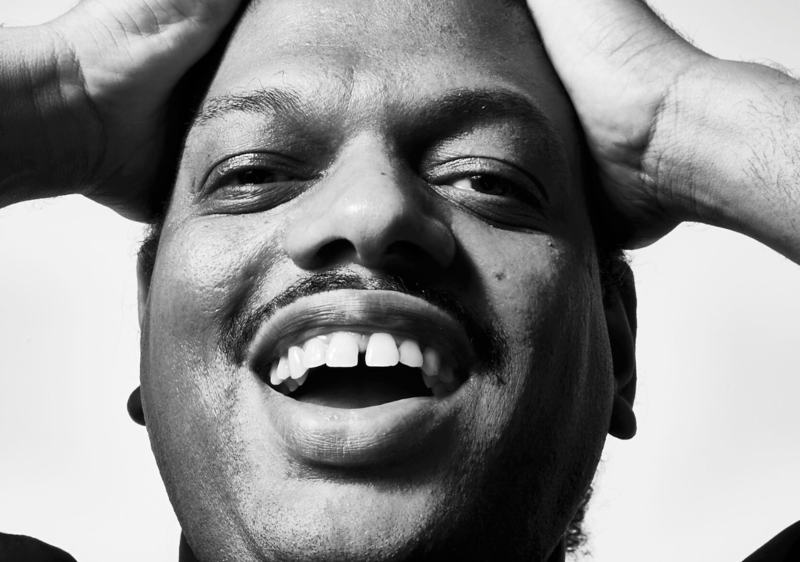 His Madhouse records—the longest running of his three active labels—turns 25 this year. To commemorate the occasion, Chandler is attempting to put together a compilation, but it’s proving challenging, certainly time-wise, as even the approach to this not-yet-formulated release is difficult to determine. 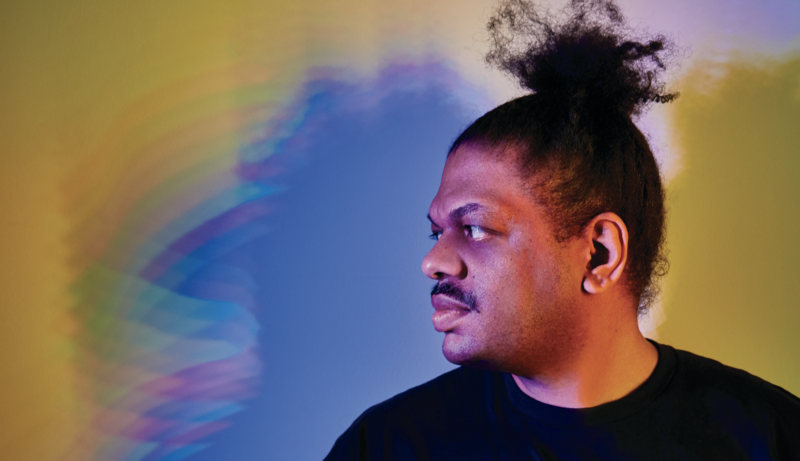 At the same time, Chandler is working on the third volume of ‘A Basement, A Red Light, And A Feelin’’, the Madhouse compilation series whose first volume was released in 1992, the second 10 years later in 2002. A third one would be another marker for the quarter century landmark. Much more recently Chandler launched his MadTech label in 2012 and even more recently than that, Kaoz Theory, named after his oft-used nickname “Kaoz”, in 2015. 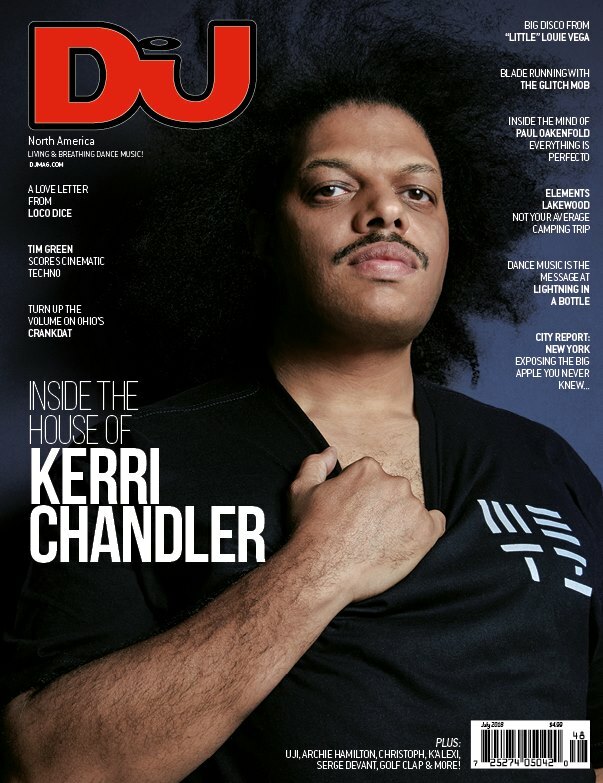 The former was started because of all the young, fresh talent Chandler was meeting, particularly during his residency at Ibiza’s DC-10 over the last eight years. Chandler is as professional as he is friendly. His incredibly professional attitude toward DJing has been in place long before the electronic dance music industry caught up to him. In terms of all-encompassing professionalism, he still is a number of steps ahead of his peers, drawing from his family’s sound engineering background to fine-tune any space to its maximum aural capabilities. To this end, he arrives early for a soundcheck that involves all parts of space from updating DJ equipment software to replacing physical parts of the set-up to adjusting the sonics. There is the danger of new equipment getting absorbed into Chandler’s warren of instruments. When he gets his hands on something new, he doesn’t immediately set it up in his studio. He keeps it upstairs, most often in his kitchen, where he listens to the machine’s sounds through its jack, on headphones, learning every single one before he incorporates it into his collection. This was the case with one of his recent acquisitions, Roland’s TR-8, which of course he Chandlerized with updates so the drum machine not only has the sounds of the classic 808 but also the 909 and 707 on it. He adds, “If I ever feel like I don’t enjoy it as much as I did the first time I put a record on a turntable, I need to stop. The only time I’ve ever slowed down was to watch my kids being born and spending time with them when they were babies. I didn’t want to miss anything. When they understood what I was doing, I went right back to it.